First there was this pattern and then this bracelet was born. 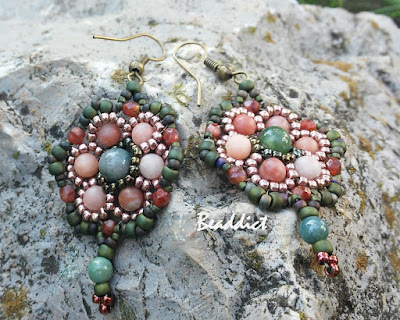 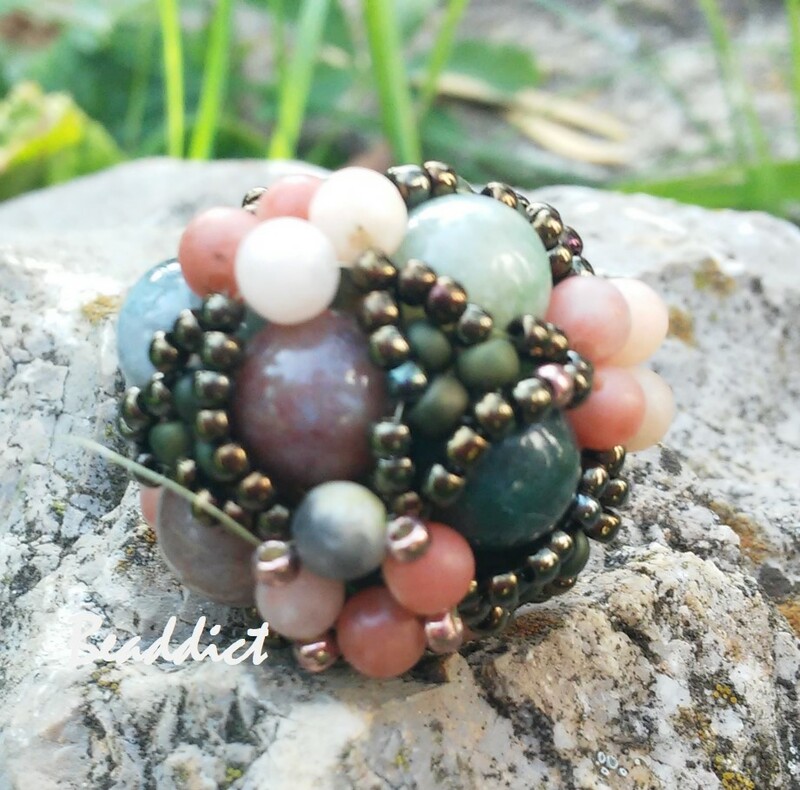 The pink lepidolite stone beads make it definitely enchanted and they look marvelous with fancy jasper centres. 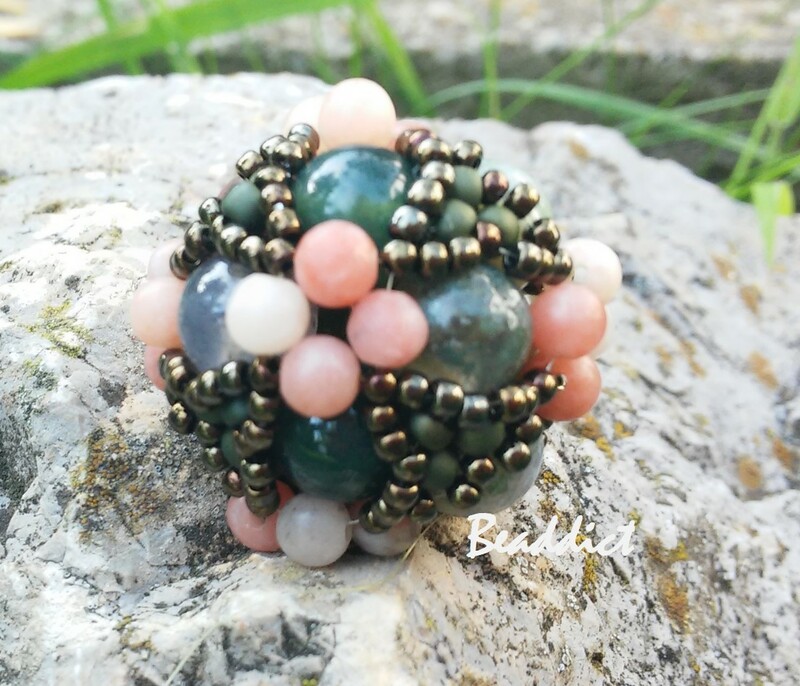 I used in the bracelet to make a match. 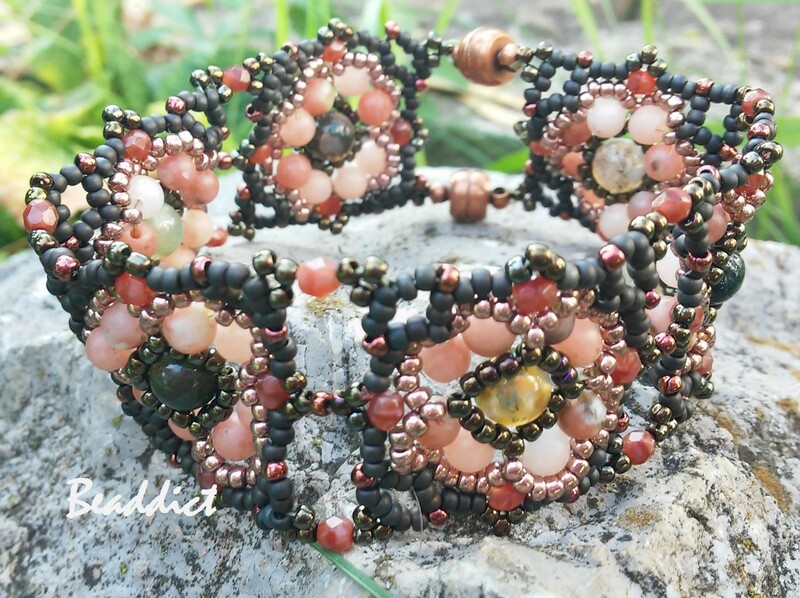 And then I wanted a big beaded bead as a pendant, but I'm stuck,because I would need 15/o seed beads of brownish rose colour (in the bracelet and earrings I have them in size 11/o) to bead around the lepidolite beads, but I can't find any anywhere. 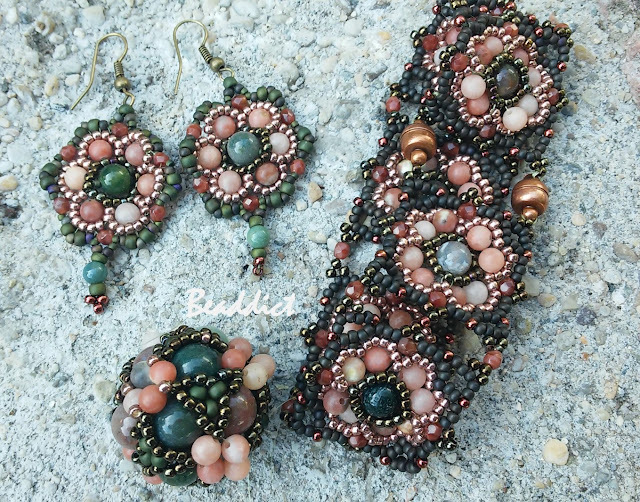 The pattern of this beaded bead is my own, but to be able to finish it I have to find a different colour combo.